The Christiana J. Paul Spring 2015 collection is full of elegance and sophistication. Christina Liedtke, the founder and designer of Christiana J. Paul, says her philosophy of design is using natural shapes and patterns and evolving them in a complex and artistic ways. For spring 2015, Christiana was inspired by luxury outerwear. Her power piece of this incredible collection is without a doubt the trench coach. There’s much to love about her signature women’s trench coat, beginning with the luxurious fabrics that make it stand out from similar pieces from other designers. Christiana said she receives many wonderful compliments on the coats. It was her aim to deliver on two fronts: First is a juxtaposition of masculine and feminine. 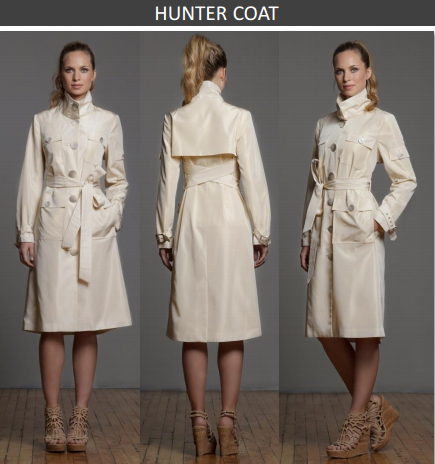 For example, the Hunter Coat (trench coat) has seven pockets and a military style collar lending to a masculine approach, however the silhouette with the length and waist cut is very feminine. Secondly, is to develop the strength of lines and elevate the coats in aesthetics, details, style, and functionality – creating iconic styles that are timeless. 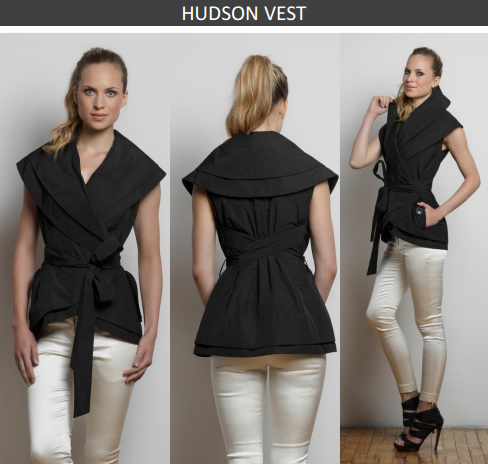 Christiana J. Paul’s Spring 2015 collection is ready-to-wear with unique pieces such as Hudson Vest, Jamison Vest, Ellison Skirt, Mackenzie Coat, Hunter Coat, and the super feminine jumpsuit. Every piece is chic and sporting fabulous natural colors. Practical yet stylish, they are a must-have for the season. l had the opportunity to meet Christiana in New York on my last trip during Fashion Week and l found her a classy, humble, and a beautiful woman with a unique personality that reflects her designs. Christiana began her career in 2007 designing in Chicago where she created custom couture pieces for clients of the Windy City. She has also designed for the Ball of Versailles, the 2008 Inauguration Ball, and other black tie affairs.